How Valuable is that Quilt? Isn’t it funny how we used “old bedding” when we were growing up, and now realize how valuable these antique quilts are due to the work and love put into each of them? This fall I moved my parents from the farm they had called home for 65 years to a smaller home in town. Because my parents didn’t have room for two trunks of quilts, I was lucky to inherit them. Inside these wooden chests were the handmade quilts, made by my great grandmother and grandmother, which we had used on our own beds when I was young. My childhood years in the 1960s were spent in a wood frame house built back in 1870. This house was featured in my Butter in the Well book series. The only heat for my upstairs bedroom came from a floor vent, which let a little warmth drift up from the room below. Therefore, during the winter months, there were “blanket sheets” on my bed, plus three or four quilts on top. Then I grew up, left home, and started using the light modern blankets on my bed. Looking through the inherited quilts again brought back many memories. 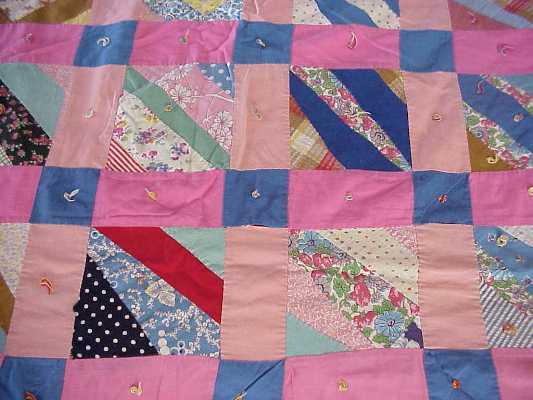 Not only of the quilts, but other flashes—like tucking my feet up inside the flowered flannel nightgown I wore to bed, pink sponge curlers, and having only my nose sticking out from under the pile of bedding. Now I think of how I treated those quilts that we had used for everyday bedding, and am amazed that they survived. I marvel at the thousands of tiny handmade stitches and the variety and colors of the fabric—all scraps from past clothing of my ancestors. How many hours did the quilters spend cutting out the block pieces, and then sewing them together? Who sat around the quilting frame to quilt them? What was the conversation those days back in the late 1800s and early 1900s? 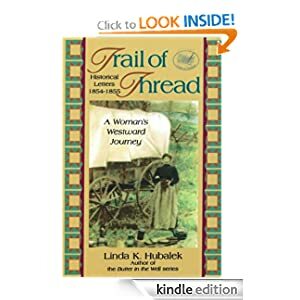 Did these women ever consider their handwork would keep their decedents warm after they were gone? Or that I would treasure these quilts and the memories of the quilters a century later? Just think, whether it was a hundred years ago—or present time—a quilt made by someone’s hand, is keeping another person warm.